“The Great American Off-Road Race”™ set a new world record today, when it announced that the 2014 Mint 400 will field fifty-five trick truck vehicles on Saturday March 15th, for their annual epic 400-mile off-road marathon. Trick trucks are the premier class of off-road racing vehicles, and lead the massive group of nearly three hundred total race vehicles, spread across twenty different classes. “This is an incredible field, maybe the most competitive field in history. Not just in the car count, but in talent. We have several former Mint 400 Champions including Bryce Menzies, BJ Baldwin, Robby Gordon, and Andy McMillin, as well as former and current champions stacked throughout the massive field of different class competitors. This is going to be an incredible weekend of racing,” said Mint 400 CEO Matt Martelli. 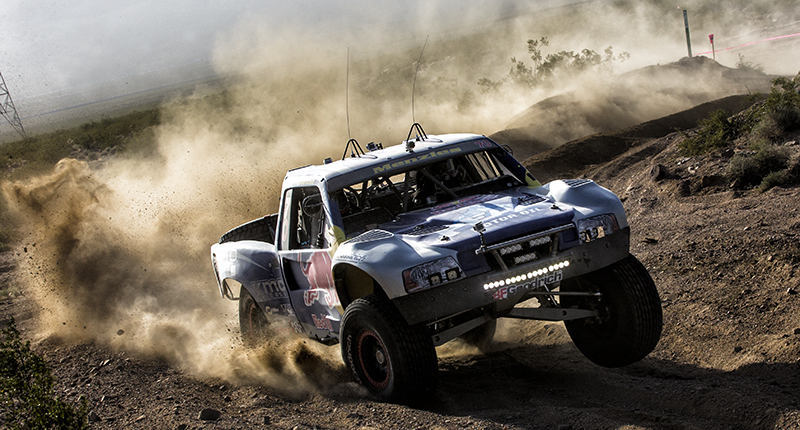 Trick truck vehicles are the most advanced off-road racing vehicles on the planet. They make a remarkable 850+ horsepower and are capable of speeds in excess of 130mph over the roughest terrain on earth. The horsepower and torque produced by these machines is extraordinary, but it’s their suspension systems that make them completely unique. They have between twenty-four and thirty-six inches of travel, which allows them to race over massive rocks, deep ruts, and across landscapes that would rip most vehicles in half – at breakneck speeds. The Mint 400 race consists of four, 100-mile laps of the most treacherous and devastating silt, rock, and dirt off-road racecourse in North America. Each trick truck vehicle team must battle a minimum of seven and a half hours non-stop, to finish on the podium. Each lap, the course conditions deteriorate radically – and drivers are forced to navigate carefully around other slower classes. 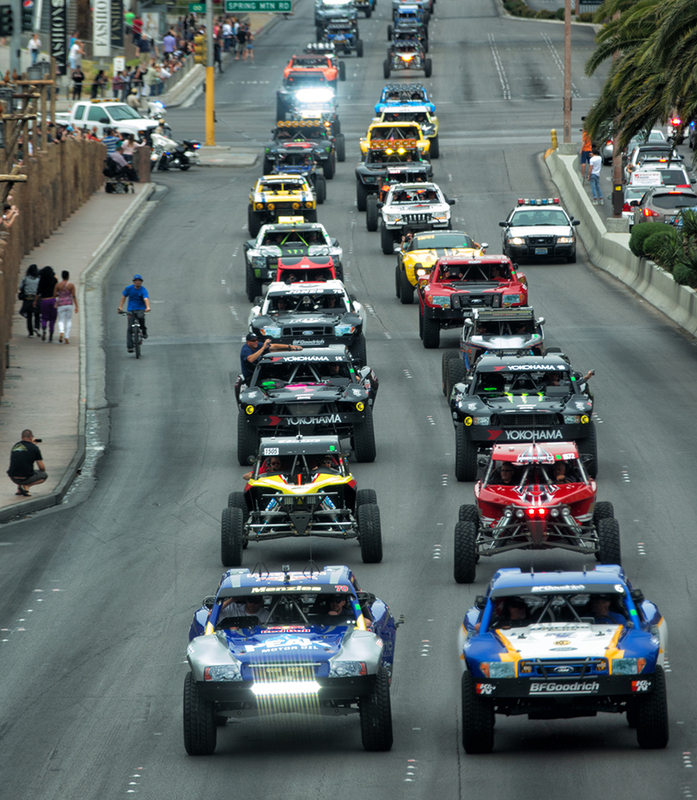 The Mint 400 is the ultimate proving ground for the premiere class of off-road vehicles.